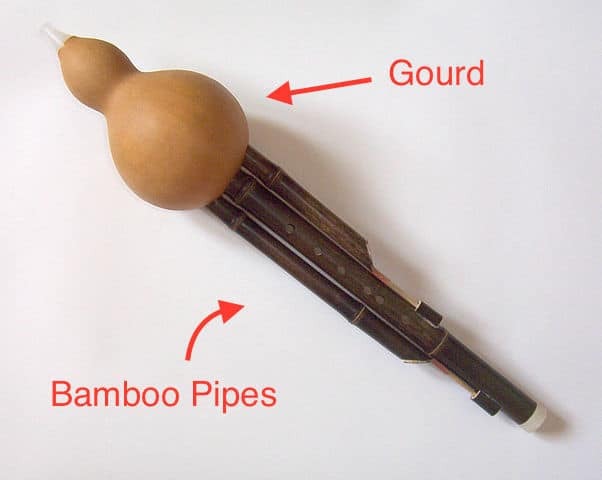 Ever Heard The Mellow Sound of This Chinese Instrument? What’s it called in Chinese? And what exactly does it sound like? Press play to practise your Mandarin listening skills and tune into the silky smooth sound of one of the top 10 Chinese musical instruments. nǐ hǎo！ nǐ shǒu shàng ná de zhè gè shì shén me yuè qì? Hi! What musical instrument is this you're holding in your hands? zhè gè shì jiào hú lú sī， shì yún nán de mín yuè. nà zhè gè hú lú sī la chuī chū lái la， yě shì hěn měi miào de shēng yīn， jiù shì shuō： tā wēn róu， tā róu qíng， róu qíng xì yǔ de yī gè. jiù shì shuō…wǒ kě yǐ gěi nǐ biǎo yǎn yī xiǎo duàn. This is called Hulusi. It's (for/from) Yunnan folk music. The sound that comes from a Hulusi is wonderful. I mean, it makes a gentle, soft, tender and low sound. I mean… I can perform a snippet for you. nà me zhè gè qū zi ne…jiào 《yuè guāng xià de fèng wěi zhú》， jiā yù hù xiǎo de， dōu zhī dào. hú lú…huì chuī hú lú sī de rén dōu zhī dào yǒu zhè shǒu qū zi. So this song called “Moonlight under the bambusa”, it’s well known, everyone know it. Hulu… The people who can play Hulusi all know this song. Awesome! Thank you! Thank you! Want to listen to this again later? The audio (& a complete pdf transcript) is available for download below. "How do I download the files..?"